The decision to annul the trade agreement between the EU and Morocco was this week-end welcomed by the AU. "An important step in the global efforts aimed at ensuring that the natural resources of Western Sahara, as non-self-governing territory, are protected for the benefit of its own people", stated the AU. 12 December, the African Union issued a statement taking note of the Court of Justice of the EU annulment of the EU-Moroccan trade deal since it fails to specifically exclude the territory of Western Sahara. Due to its illegal occupation of Western Sahara, Morocco is the only state in Africa not being member of the AU. Find below the complete text of the AU release. Addis Ababa, 12 December 2015: The Chairperson of the Commission of the African Union (AU), Dr. Nkosazana Dlamini Zuma, notes the importance of the judgment of the European Union (EU) Court of Justice of 10 December 2015, which annulled the trade deal in agricultural and fisheries products, concluded, in March 2012, between the Kingdom of Morocco and the EU, due to its inclusion of Western Sahara. It should be recalled that Western Sahara has been inscribed since 1963 on the list of territories to which the UN General Assembly resolution 1514 (XV) of 14 December 1960 on the Granting of Independence to Colonial Countries and People applies. This decision marks an important step in the global efforts aimed at ensuring that the natural resources of Western Sahara, as non-self-governing territory, are protected for the benefit of its own people. In this respect, the AU has repeatedly called on all concerned to halt the exploration and the exploitation of Western Sahara’s resources and desist from entering into any agreements that would violate the Sahrawi people’s permanent sovereignty over their natural resources. 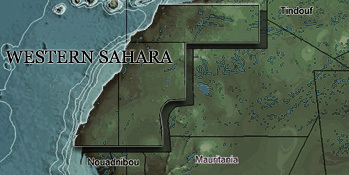 In his 10 April 2014 report concerning the situation in Western Sahara, and in the light of increased interest in these resources, the UN Secretary-General stressed that it was timely to call upon all relevant actors to “recognize the principle that the interests of the inhabitants of these territories are paramount”, in accordance with Chapter XI, Article 73 of the Charter. The Chairperson of the Commission reiterates the AU’s call for the early resolution of the now four-decade long conflict in Western Sahara, in line with international legality. She appeals to the UN Security Council to fully assume its responsibility in this respect, bearing in mind its repeated calls to the two parties to the conflict, namely the Kingdom of Morocco and the Frente POLISARIO, to enter into direct negotiations, without preconditions and in good faith, with the aim of achieving a just, lasting and mutually acceptable political solution, which will provide for the self-determination of the people of Western Sahara, in the context of arrangements consistent with the UN principles and purposes.